La 21ème Conférences des Parties a lieu du 30 novembre au 11 décembre 2015 au Bourget à Paris. It’s the 21st conference of parties, which is a meeting taking place each year involving all countries who want to act on climate change. 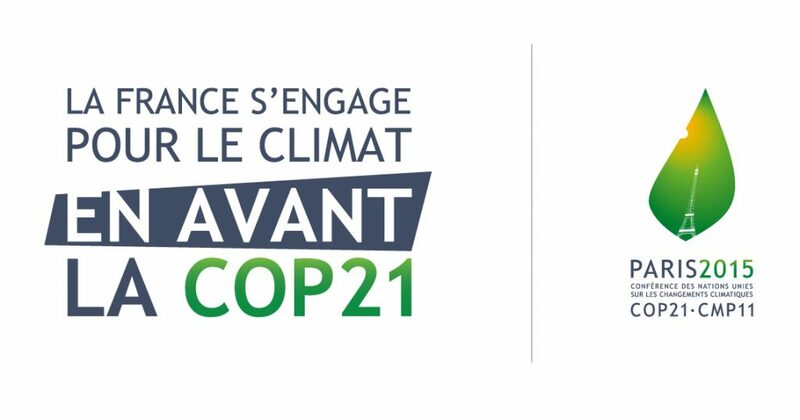 This year Paris welcomes the COP21 which will be the largest diplomatic conference ever organised outside of the general assembly of the United Nations, with 147 heads of state present. The main issue of this conference is the signing of a universal and binding agreement which should be unanimously concluded by all countries in order to be applied in all signatory countries. The objective of this agreement is to limit global warming to 2°C by 2100. According to experts, in order to achieve this objective global greenhouse gas emissions must be reduced from 40% to 70% by 2050. Other challenges you might have heard about are the 100 billion dollars which developed countries have committed to raising by 2020 in order to help developing countries deal with climate disruption. If you are interested in deeper explanations, you can explore the COP21 website which is clear and enjoyable. And if COP21 evoke anything for you, watch this video made by Golden Moustache in collaboration with Nicolas Hulot. If this conference of parties is effective, we will very soon be able to see environmental development, seeing as France has already invested a billion dollars into the Green Climate Fund, it’s a great promise for our future and future generations.